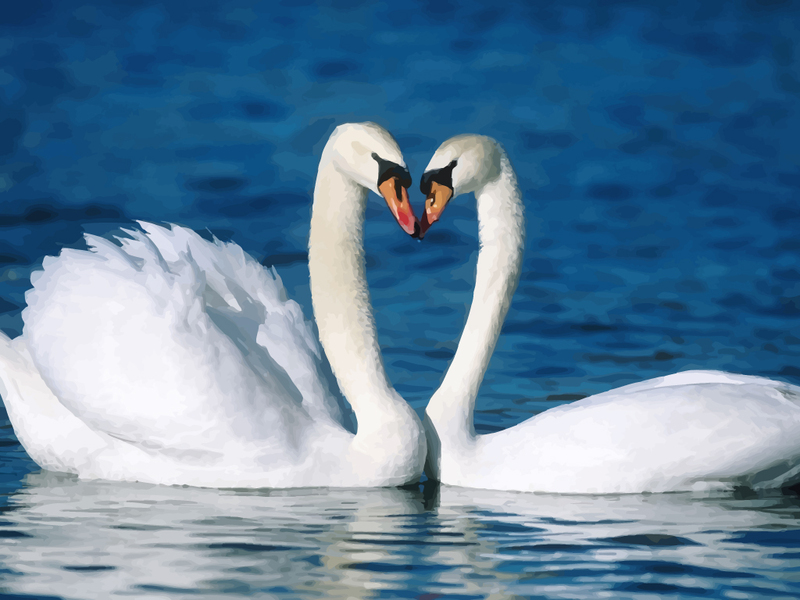 Vector image of two loving swans forming a heart. Swans are beautiful white-feathered animals. They mate for life, which makes them a symbol of romantic love. A group of swans is called a herd. Swans are smart and they remember if humans are nice to them or not. Original wallpapers are © of respective artists.